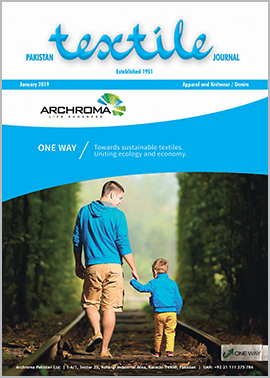 Lectra’s 2017-2019 strategic roadmap, the first step in the company's transformation, has five objectives: accelerate revenue growth, both organic and through targeted acquisitions; accentuate its technological leadership to further enhance the value of its products and services offer; strengthen its competitive position and long-term relationships with customers; progressively launch new software offers in SaaS mode; and self-finance its internal and external development. Lectra's subsidiaries are newly organized into four main regions. The purpose is to better adapt the Lectra 4.0 strategy to Lectra’s different markets, accelerate business development and strengthen synergies within each geographical area. The new regions are Americas, led by Edouard Macquin; Asia-Pacific, led by Javier Garcia; Northern & Eastern Europe, Middle East, led by Holger Max-Lang; and Southern Europe & North Africa, led by Fabio Canali. Fabio Canali, Javier Garcia and Holger Max-Lang join the Executive Committee. Maximilien Abadie, Chief Strategy Officer, becomes a member of the Executive Committee, with the mission to support the implementation of the Lectra 4.0 strategy within the group's teams and prepare the 2020-2022 strategic roadmap. Olivier du Chesnay, Chief Financial Officer, joins the Executive Committee with the objective to strengthen the fundamentals of Lectra's economic model. Véronique Zoccoletto, Chief Transformation Officer, will focus on escalating Lectra's ongoing digitalization and use of the four key technologies. "Our growth plan is ambitious and we had to put in place a structure that enables us to quickly achieve our objectives. The new dynamic of our regions, together with the creation of a dedicated Customer Success team, will further strengthen the intimacy we share with our customers. I have worked for a long time with each member of this new Executive Committee, and I have admired and appreciated over the years their passion for Lectra and the depth and range of their talents. We have a more robust and cohesive management team in which I have every bit of confidence to take Lectra to a new and important stage in its development," says Daniel Harari. Detailed biographies of Lectra's Executive Committee are available on lectra.com.